Calling all Queens, Divas and Princesses out there...yes you! I am declaring 2014 a Royal Year, and to kick it off we are having a crown party. So practice your Queenly wave, and make your own 3-D crown. You can make any kind of crown as long as it is a 3-D project. Want to earn extra chances to win? Then post a picture of you wearing it and I'll put your name in the hat for 5 extra chances! It's as simple as that! Helmar Fabric Stiffener & Draping Liquid and Craft Glue ! This contest will end on January 31st, so that should give everyone plenty of time to get their royalty on! You can enter as many times as you wish, as long as they are a new entry each time,no backlinking allowed. So blog about your crown and make sure you link up to that post ( and not your entire blog ) so we can all visit and leave you you some Queenly ohh's and ahh's! I want to thank Jeanette from the Helmar Design Team for giving us this fun and whimsical inspiration and for Helmar for giving me a prize to offer! We can’t all be a princess…someone has to sit on the curb and clap as I go by! The completed work of an artist which is the expression of creativity or imagination, or both that portrays a mood, feeling or tells a story; works of art collectively. The background was made using a paint etching technique. The first layer are random colors of Ranger Distress Paints which I then covered with a thick layer of an acrylic/glaze mixture and then scratched through while the paint was still wet. A shot of Maya Roads whiteout was spritzed over the top and then it was sealed with Helmar Crystal KOTE Gloss Varnish. Loved creating the lamp as my centerpiece, cut from the Cricut Country Life cartridge, p. 64 and then shadow outlined with my pens and outlined the glass globe with stickles. The flame was created by free hand drawing it onto the vellum and then coloring it in with Sakura Glaze pens and the white Sharpie. The butterflies began their life has very pretty dimensional butterflies from K&Co. but moths aren't that pretty to me, plus the pink and blue colors wouldn't work either. So, I did what any self respecting mixed media artist would do...I tore them apart and inked and grunged them up! I even added a layer of Ranger Distress Crackle Paint over them! The use of forms which are similar on either side of a central axis. They may give a feeling of the exactness or equal relationship but are sufficiently varied to prevent visual monotony. I stamped the footprints first and then took my paper to the Cricut to cut out a 2½" hole. Used Ranger Distress paints to color the inside of the circle and then stamped the tent. I stamped the tent on pattern Love paper and paper pieced it together, free hand the sentiment. Inked lightly around the edge of the base. Collage is something for everyone, anyone can do it regardless of age or skill level. 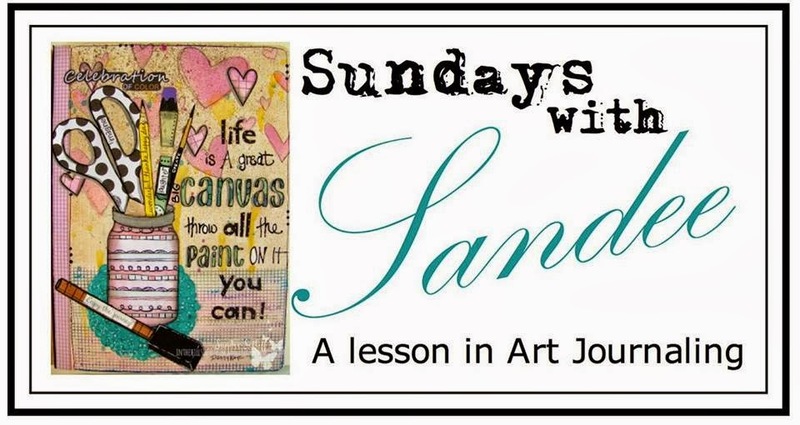 It offers exciting visual effects and creative expression and I love the treasure hunt for just the right piece which can be shifted, removed, added to, glued down, covered up or torn off....a collage is as simple or as complicated as you make it. 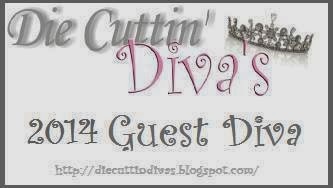 I want to thank all the Die Cuttin' Divas for letting be a guest diva! I love taking other elements from the cartridges and mixing them up together, like the snow cap from page 48 and putting it on the squirrel from page 57. This little guy is layered, inked and popped up for added dimension and the snowflake is glittered and bejeweled for some added snap! I just love the huge anime sized eye he has too! The use of the principles and elements of design to create functional pieces of works of art. "Manga" refers to comics drawn in a style based on Japanese art, usually published in Japan. I knew my drawing set was Sakura, a Japanese based company but didn't know that "Magna" had a particular meaning. Along with my Sensei pens I love my inks, and I spray them onto small trays which I can reconstitute with water using my water brush. I used Google Translation to interpret my quote into Japanese, after all I seem to have evolved into a theme here :) I used a point 3 for the written Japanese words and a point 6 for the English words. I don't want to bore you with my thought process behind making this anime character but you can click on this link if you want to read about it. "I think it's important not to get in a rut, to constantly challenge yourself, and surprise others. It's the only way to grow artistically." I have a lot of favorites, the eye stamped on the tea tag and the moldable stamp. I laughed like Woody Woodpecker at the out come of the eye on the tea tag...seriously, do I sound like that when I laugh?? I don't finish my sentences very well....like when I said "waterproof......"
Showed you my favorite mug but totally forgot to tell you WHY it was my favorite...I collect 1950's Red Rooster pottery from Metlox. I hope you make an art journal with me and give me a shout out over on the Frosted Designs Facebook page...can't wait to see what you make! Any set of three or five colors that are closely related in hue(s). They are usually adjacent (next) to each other on the color wheel. I believe for my piece I have chosen 2 tertiary colors and 1 primary color, I'll be honest, I never think about the color wheel when I choose my colors, I just pick colors I like together. Do you go by the color wheel first? I wanted a very fun happy image, bubbly bursting with laughter. I also wanted something silly and carefree. Attitudes make me smile, a good one can go a long way! The butterfly comes from an online printable, I just drew in his legs and antenna. The method of oil painting in which the desired effects of the final painting are achieved in the first application of paint as opposed to the technique of covering the canvas in layers with the final painting being achieved at the end. Woo hoo! My Lindy Try Met Sets arrived, and the first night was spent adding water to the bottles ( because they come as powdered textile dyes ) and then spraying little shots on a piece of wax paper so that they would dry to play with the next day. So you can guess that my background is made from the wax paper transfer technique and random spreading on Faber Castell gesso. Waterproof pens like the Sakura Pigma Sensei are perfect to add extra doodling without any smearing. I did a real loose and sketchy type of outlining and shading. I am really enjoying hunting through magazines for images and words to glue in my journal, and I can really appreciate the pocket in the Dylusion's journal which is so handy to keep all the cut outs in. I do advise a smaller envelope to keep small words in so that they don't get lost. Philosophy applied to art, which attempts to formulate criteria for the understanding of the aesthetic (rather than utilitarian) qualities of art. This is my page for the Journal 52 prompt"
For me it's the beach, since it's a place where I go to for vacation, it also means simplicity. Flip flops, walking in the sand, drinks on the pier and taking tons of pictures. It's one week of bliss. I started at the bottom of the page, laying a thick coat of gesso across the bottom and pressing a seashell into it to add some dimension and a sprinkle of salt for texture. Then I let it dry before adding a wash of ink and water, Beginning with a saturated brown and watering it down as I moved up the page. The blue ink also has white and gold sprays on it, plus water to remove the ink to give it a light airy sparkling look. The lettering was done with PITT pens, Sakura Glaze pens and a Glitter pen. The top of the ocean has a froth made out of gesso and a sprinkle of salt. A way of suggesting the far distance in a landscape by using paler colors (sometimes tinged with blue), less pronounced tones, and vaguer forms in those areas that are farthest from the viewer. By contrast objects in the foreground are painted in sharply outlined, brilliant, and warm colors, and background objects are shown in muted, cooler colors. Normally I would show you a slideshow for my Helmar's project today. But I had to buy a new laptop and haven't figured out all the bells and whistles so please step over to visit the Helmar blog to see my rustic altered clock. What inspired me was the way the jumbled letters at the top spill downward to create the word Thanks and the different colors used which makes for a very playful card. So I took the small element, the word Thanks and replaced it with a house stamp by Studio G and then used hearts punched out in different colors to float up into the sky. The sentiment grounds my house by giving it a horizon. The background paper was created using wax paper to transfer the spray inks over a gesso'd primed paper. Normally I don't add anything other than paper of paint to my journal but I couldn't resist this little trinket by Maya Roads, it's very lightweight too so it doesn't weigh my page down at all. I love paint doodling, oh heck, I love all kinds of doodling and bright colors, they just make me happy! 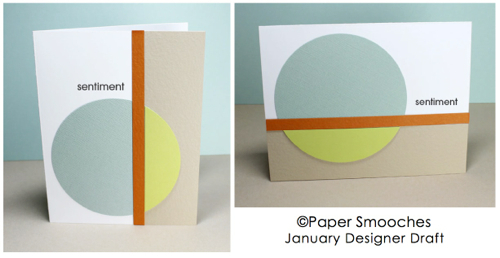 The video can be viewed over at the Frosted Designs blog if you would like to see it. A fast-drying synthetic paint made from acrylic resin. Acrylic is a fast-drying water-based “plastic” paint valued for its versatility and clean up with soap and water. You may have heard about my little Royal challenge, to make your own crown. Well, I so enjoyed making my crowns that I couldn't stop at 2, so here is my third one. I attached it to a recycled ribbon tube and made a tiny Treasure Keepsake box out of it. The tube was painted with Deco Arts Metallic acrylic paint, boy, is it a smooth consistency! I just love the Ranger Distress Glitter, I sprinkled it on top of the lid and look.....awesome, huh? The crown itself was made using Helmar's Fabric Stiffner & Draping Liquid which was formed around a ( pardon me ) toilet paper tube roll. The little seed beads come from the December Kit from Frosted Designs and were hand sewn on ( thank you Jamie for the magnifying glass for Christmas, just saying! ). The lace and gold band are misc. notions from JoAnns. The inside of the box has a cute little saying...:) doodled with the Sakura pens and embellished with Ranger Liquid Pearls and stickles. 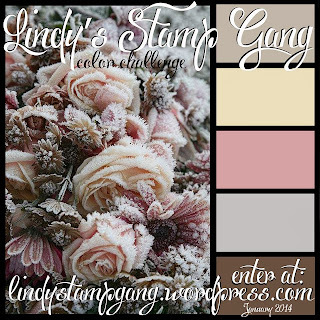 Blog Quick Quotes - Friday Challenge 35! - "Bright and Shiny"
If you like wildlife pictures, then go HERE to see the Coopers Hawk that landed on my balcony yesterday! A process of increasing an art collection by addition; something added to what you already have (“the art collection grew through accession”). Oh be still my beating heart, how I would love to get a one of a kind box of chocolates! This one happens to be a box of Godiva's that I wouldn't mind sinking my teeth into! 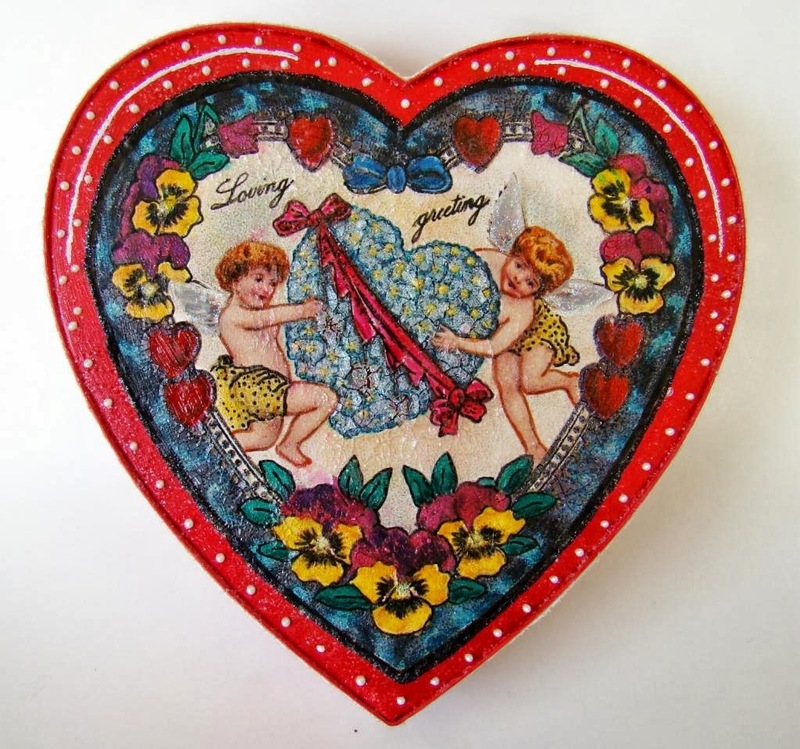 I took a box of chocolates and altered the top with a vintage print and some inks and glazes. After spraying my paper with Helmar Crystal Cote Gloss Varnish ( because my printer is a ink jet, and the ink would smear ), I then used my Sakura Glaze pens to color over the image. I added some sweet vellum wings to the cupids for a little extra dimension. I think the lace around the outside edge of the box is the perfect touch for any feminine lady.